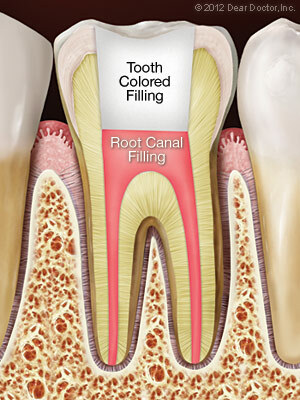 The procedure normally causes no more discomfort than a filling would. Root canal treatment may have a bad reputation, but it is undeserved; in this case it's the disease that's to blame and not the cure. In other words, the infections that make the treatment necessary in the first place are often painful because they are inflaming tissue that has lots of nerves and therefore is very sensitive. Root canal treatment actually relieves this pain!